I realize this isn't a perfect rainbow but my point is to introduce as many different colors as possible into my salads this Spring. Rather than keeping this staple, health meal generic, introduce some of your favorite, seasonal fruits/vegetables and constantly change up your protein. I find the most trivial yet often overlooked point of healthy eating is food presentation. The prettier it is, the more likely you are to be excited about eating it! Let me know your creations in the comments or on Facebook/Instagram. 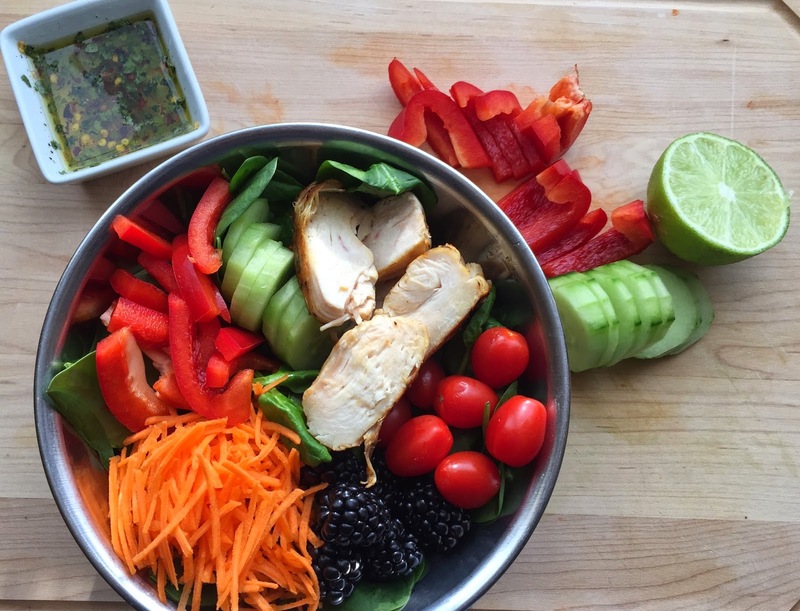 A colorful grilled chicken salad with a spicy lime dressing! Add two cups of spinach to the bottom of a bowl and place all washed/chopped vegetables and fruit on top. 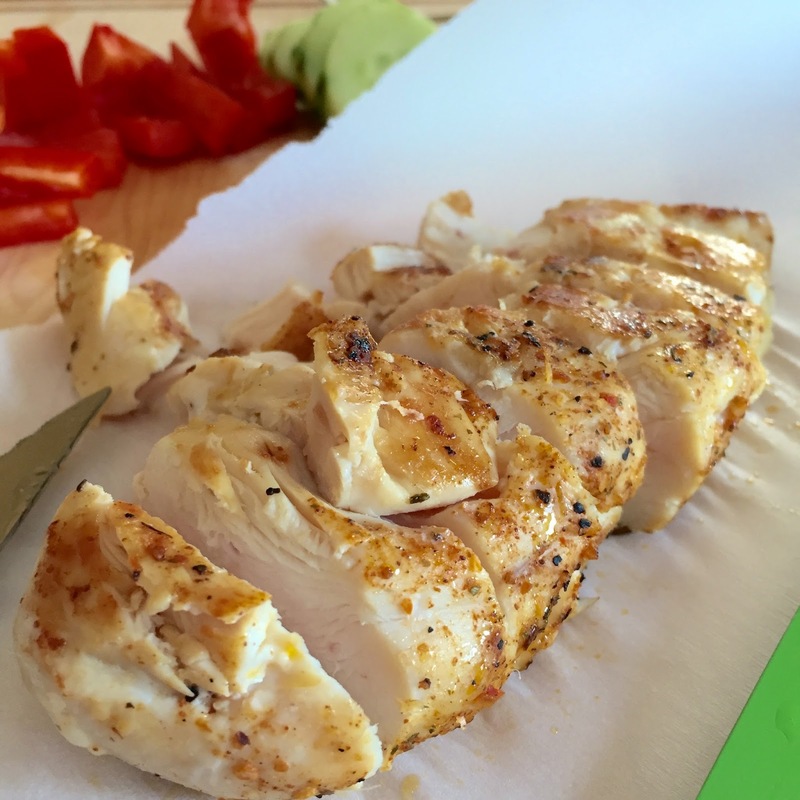 Slice cooled chicken into strips and add to salad. 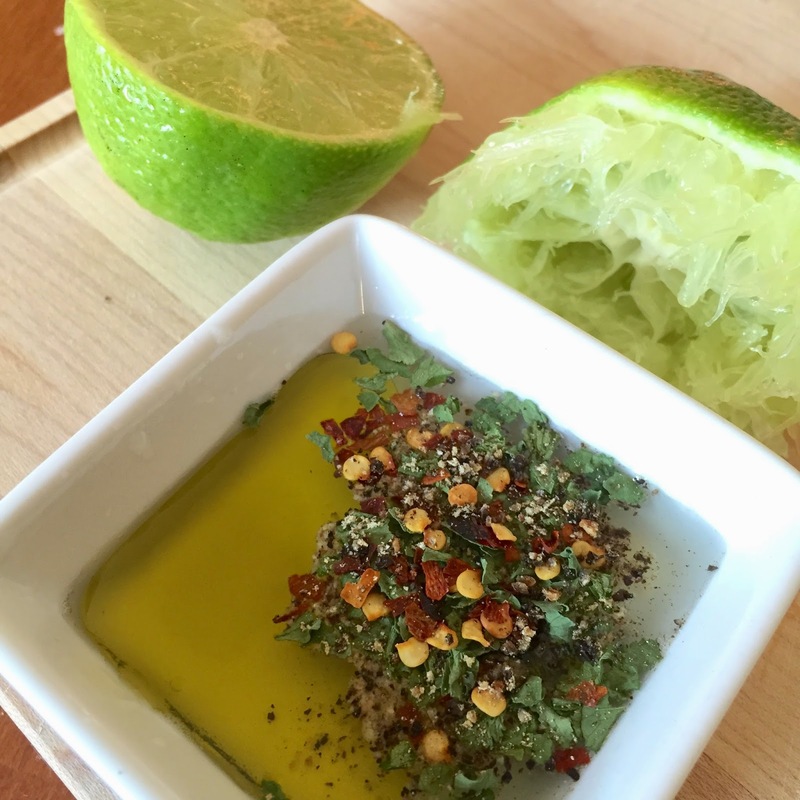 Mix lime juice, olive oil and spices and pour over salad if serving immediately. Otherwise, store in a small container for later use.